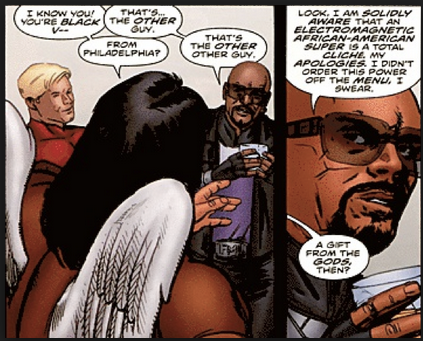 A while back, I wrote a short piece about the importance of diversity in comics, and I covered my personal journey as a young Black male looking for myself in the medium that I loved. I’m not going to rehash the argument here, but suffice it to say, we need to make sure that diversity in media is something that occurs on a consistent and varied basis. But why? 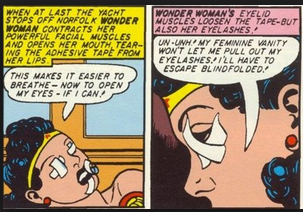 It is really easy to write off comics as pulp or mindless entertainment, but the fact of the matter is, comics, and all other popular media, play a major role in educating, and disseminating information about cultural norms and mores. However, it is wrong to look at comics merely as a mirror reflecting what society is, but also as a window into what we can accomplish. Listen, people who are much smarter than me have already talked about the importance of media images, but let’s look at these images for what they really are: tools. I’m a teacher, so the word “tools” has become an indelible part of my vocabulary because I have been trained to look at everything as a possible tool. It’s what I default to. Are those playing cards? Nope, they’re a method of randomizing how I ask students questions? Is that a Nerf football? Nope, that’s how students know who’s supposed to be talking, and that they’re supposed be listening. Is that an episode of South Park? Yes. Yes it is. But, it’s also a really cool interpretation of Shirley Jackson’s “The Lottery” with an added bonus of social commentary. Look, the point is, teachers aren’t the only people who look at media as a tool, but the question is, as a tool for what? To sell stuff? Yes. To control us? Probably. Maybe. To make us hate ourselves for really liking Miley Cyrus, and thinking seriously you guys, she’s so much deeper than what is portrayed about…and by…her? That’s sounds personal. The point is, it’s all of those things, but let’s go back to my original premise: media is a tool for education. When we consume media we are learning what is acceptable behavior, how we should perceive the world around us, how we should engage one another, and what we should believe is possible. We don’t get a Black president without decades of positive images in pop culture. Without the entertainment punch of Sammy Davis, Jr., Sidney Poitier, Bill Cosby and Harry Belafonte, to accompany the political push of Martin Luther King, Jr., Malcolm X, and Medgar Evers, we don’t get people to even consider the idea that a Black man could run the country. But you have a generation of kids who grew up with Black entertainers in their living rooms, or in concert, or in shared moments over their friends’ houses, and little by little the culture is shifting. Media is a tool for education, and (though ominous sounding) re-education. 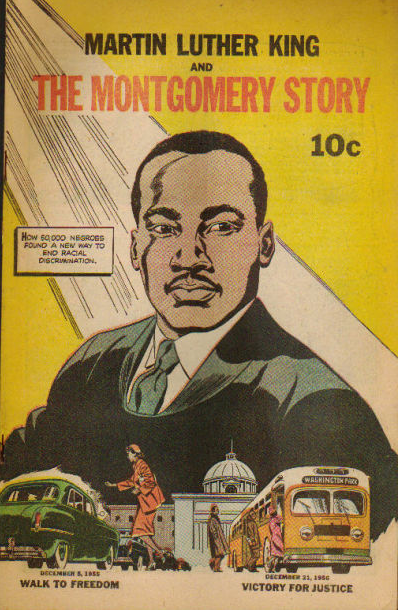 Heck, even the aforementioned Dr. King knew of the power of comics as a tool. Comics fits right into that education plan. There’s a reason that “crazy” ideas like female astronauts and Black presidents are so prevalent in the sci-fi/fantasy arena: sci-fi and fantasy have, in general, long been the realm of exploring the possible. The added bonus is that the people who often lived in these worlds happened to be kids, and other individuals who’s minds might be a bit more lubricated to receive these new ideas. Comics are the place to truly fantasize and become engulfed in a world of possibility, but it’s also a place to become engaged in a conversation without the constraints of peer/societal influence or parental guidance. True, it hasn’t been smooth sailing. 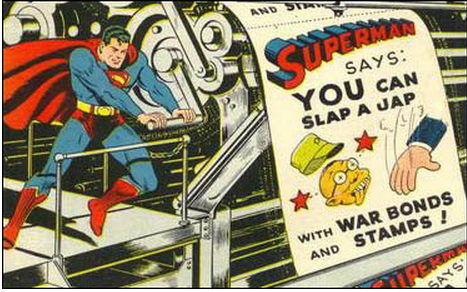 Early on, comics were very much a product of their time. 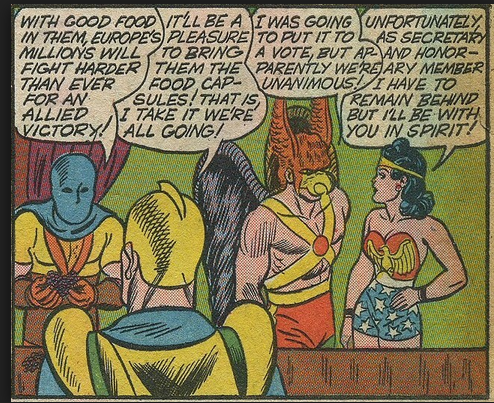 Racial and gender discrimination were the one thing that seemingly everyone agreed on during the “Golden Age” of comics. As embarrassing and disgusting as these examples are, they also highlight how far we’ve come now, and where we can go. Now, I can use a book like Persepolis in my class and expose students to the story of a young Muslim girl growing up during the revolution. Now, a diverse cast of characters in television and film is becoming more of the norm. Now, Alison Bechdel, author of Fun Home, is a MacArthur Fellow, and Dave Gibbons is the first comics laureate in the UK. Now is the possibility I’ve read about for so long. We still have a long way to go. Sexism and racism are far from eradicated, and we still have a ton of room for improvement. I do think we’re moving in the right direction, though. More and more, younger generations are learning from us, and from our media, and comics will be a part of the push to make things better, like always.